Kate Middleton and Prince William will visit British Columbia and the Yukon Territory in October. Prince Harry has been assigned a more pleasant Royal visit for late autumn of 2016. 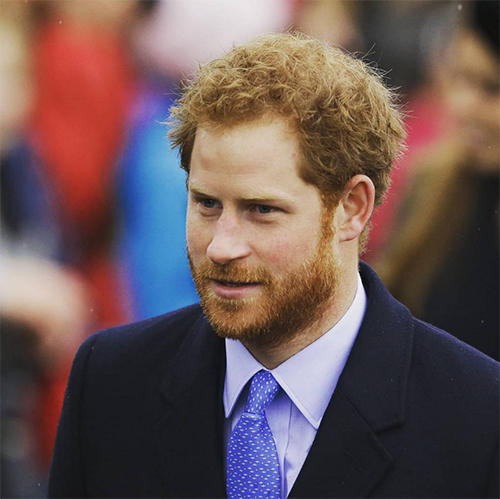 Queen Elizabeth is sending the ginger-haired Prince to the Caribbean. Kate must be furious that the Cambridge’s have been banished to Western Canada while Harry will be hard at work in the Caribbean. Western Canada isn’t a third world country, but we’re guessing Kate would much rather spend time in St. Lucia, Barbados, Antigua, and St. Kitts. Poor Kate Middleton seems to have upset not only the Royal family but the Middletons as well. Carole Middleton and crew were out celebrating newly engaged Pippa Middleton’s birthday just the other day and there was no sign of Kate at the luncheon. William and Kate haven’t exactly been given the most enjoyable official Royal visits in 2016. First, William and Kate were sent to India and Bhutan in the sweltering heat. Recently, Prince Charles shipped the lazy and work shy Cambridge’s off to the Duchy of Cornwall and the Isles of Scilly. Now the Duke and Duchess of Cambridge will schlepp across Western Canada with Prince George and Princess Charlotte in tow. When it was announced that the Duke and Duchess of Cambridge would visit British Columbia and the Yukon Territory Kensington Palace made it sound oh so romantic! The first joint official Royal visit Kate Middleton and Prince William after the couple married in 2011 was to Canada. It’s almost as if the Royal schedulers want the world to believe this would be a second – or is it third? – honeymoon for William and Kate. Kensington Palace made the announcement of Harry’s visit to the Caribbean via Instagram. Prince Harry’s visit will take place sometime in late Autumn. Harry’s visit will coincide with the 50th Anniversary of Independence for Barbados, the 50th Anniversary of independence for Guyana, and the 35th Anniversary of Independence for Antigua and Barbuda. Also on the list of stops Harry will make during the Royal official visit on behalf of Queen Elizabeth will be Grenada; St. Kitts and Nevis; St. Lucia; and St. Vincent in the Grenadines. Prince Harry may have been an embarrassing partier in the past, but Queen Elizabeth seems to trust Harry will behave himself on this official Royal visit to the Caribbean. Prince Harry Leaves American Actress Juliette Labelle Brokenhearted, Abandoned After Fling: Engaged to British Mystery Woman?